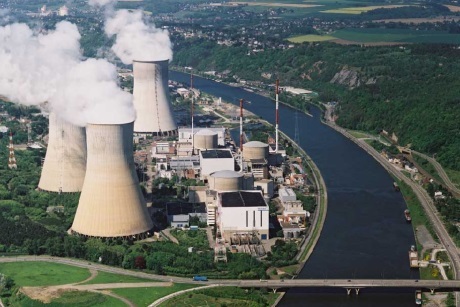 Electrabel restarted unit 2 of Belgium's Tihange nuclear power plant yesterday. The unit had been offline since March 2014 for investigations into manufacturing flaws in its reactor pressure vessel. Tihange 2 and Doel 3 were taken offline in 2012 when ultrasound testing suggested the possible presence of cracks in their reactor vessels. Further investigations indicated that the defects were so-called hydrogen 'flakes' and had been introduced during the manufacturing process. The Federal Agency for Nuclear Control (FANC) allowed Electrabel to restart the units in May 2013, requesting that further tests be conducted to evaluate the effect over time of these flakes. In March 2014, Electrabel brought forward planned outages for the two units after additional tests on hydrogen flakes suggested these may affect the mechanical properties of their reactor vessels. These outages were originally expected to last about six weeks, but the reactors have remained offline since then. In mid-November, FANC approved the restart of the two units after concluding it was safe to bring the reactors back into operation. It concurred with Electrabel's finding that the flakes "have no negative impact on the reactor vessel's structural integrity". Electrabel announced yesterday that Tihange 2 had been restarted and reconnected to the grid at 9.21pm. The power output of the reactor will now be gradually increased. Unit 3 of the Doel plant is expected to restart by the end of December. After the next fuel cycle the reactor vessels of the units will undergo a follow-up inspection using the qualified ultrasonic method, the company said. Tihange 2 will reach the end of its 40-year lifetime in 2022 with Doel 3 following in 2023.